Copper and gold miner Newmont Nusa Tenggara, the Indonesian unit of US-based mining giant Newmont Mining Corp, requested for a new recommendation letter from Indonesia’s Energy and Mineral Resources Ministry. This recommendation letter is required to extend Newmont’s six-month copper concentrate export permit at the nation’s Trade Ministry. This would be the fourth time Newmont’s export permit is extended. Whether Indonesia’s Energy and Mineral Resources Ministry issues the export recommendation letter depends on progress made with the construction of smelting facilities..
Based on Energy Ministry Regulation No. 5/2016, the Energy and Mineral Resources Ministry of Indonesia will only issue a recommendation letter to those mining companies that want to resume mineral ore exports provided these miners are committed to establish domestic processing facilities (smelters). In line with the (controversial) 2009 New Mining Law, exports of unprocessed minerals have basically been prohibited since January 2014 (the Indonesian government forces miners to process their mining output into value-added products before export is allowed). However, as domestic smelting capacity is still insufficient, while low commodity prices have made it unattractive to invest in costly smelters, the Indonesian government still allows mineral ore exports (through the issuance of six-month export permits) provided these miners pay higher taxes as well as royalties and show evidence of their commitment to establish smelting facilities. Meanwhile, Newmont Nusa Tenggara has cooperated with Freeport Indonesia for the establishment of a USD $2.1 billion copper smelter in Gresik (East Java). This smelter is designed to have a total installed capacity to process two million tons of concentrate each year. Newmont’s contribution to this smelter is actually small. It has been reported that Newmont invests USD $3 million for the development of this smelter (and will supply about 400,000 tons of concentrate to the smelter per year). Bambang Gatot, Director General for Coal and Minerals at the Energy Ministry, confirmed his ministry received a request from Newmont regarding another extension of the company’s copper concentrate export permit. As such, the ministry will now first evaluate the developments that have occurred at the smelter construction site in Gresik. Gatot added that Newmont requests an export permit for 430,000 tons of copper concentrate for the May-September 2016 period (a similar amount as in the company’s preceding export permits). 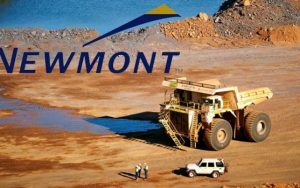 It also remains unknown whether the export tariff for Newmont’s copper concentrate exports will remain set at 7.5 percent. Based on Finance Ministry Regulation No. 153/PMK. 011/2014, this export tariff is to be cut to 5 percent in case progress with smelter development has reached between 7.5 and 30 percent (of completion). When construction of the smelter has been completed for at least 30 percent, then the export tariff will be scrapped altogether. This tax incentive is provided by the Indonesian government in order to encourage miners’ commitment to smelter development.